Our standard terry towel collection is made with high quality, 100% genuine Turkish cotton. They are soft to the touch and become even softer after the first wash. These towels are also highly absorbent, durably made and long lasting. With a double stitch edge and natural weave, these towels are an elegant addition to any bathroom. TOWELS: All Towel you buy from us are made of 100% Genuine Turkish Cotton for extra softness and the ultimate absorbency. All Hems are double-stitched for maximum durability. 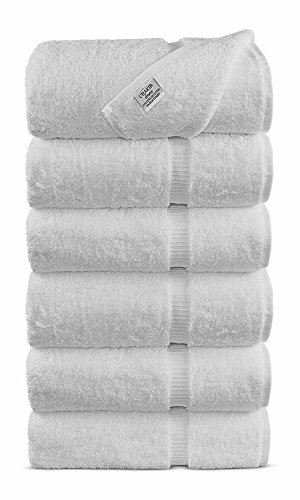 100% SATISFACTION: You will love the soft, luxurious feel and the quality of new luxury hotel and spa collection bath towels. OUR ALL TOWELS ARE ECO-FRIENDLY: Our towels is chemical free, natural dyes that are safe for you and the environment. Get softer with each wash. SATISFACTION GUARANTEE: We believe you will love our towels quality and softness. We also offer 30 day money back guarantee. If you have any questions about this product by Chakir Turkish Linens, contact us by completing and submitting the form below. If you are looking for a specif part number, please include it with your message.